This easy to make blackened seasoning can be used on a range of foods such as chicken, steak, fish and vegetables. Mixed all dried spices together thoroughly and set aside. Brush the salmon filets lightly with one tablespoon of olive oil, then season the filets evenly with the dry spices. Heat the olive oil in a heavy bottomed skillet over medium-high flame. Add the salmon and cook each side until slightly blackened (not burnt), about 3-5 minutes per side, depending on the thickness of the filets. The fish is done when it is no longer translucent and flakes with a fork. Remove the fish from the pan and serve with a fresh salad. 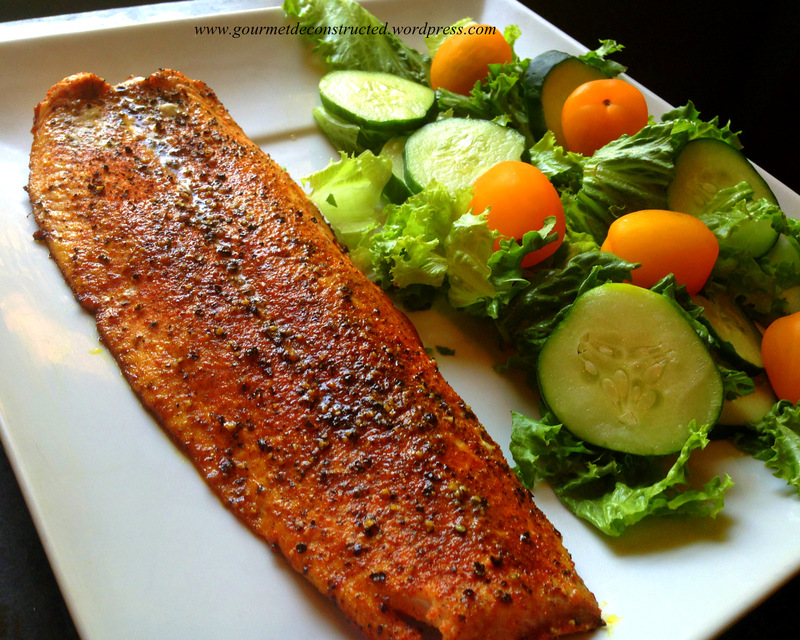 Posted on June 22, 2013, in Seafood and tagged Blackened salmon, Cajun-Style, fresh salad, salmon. Bookmark the permalink. Leave a comment.